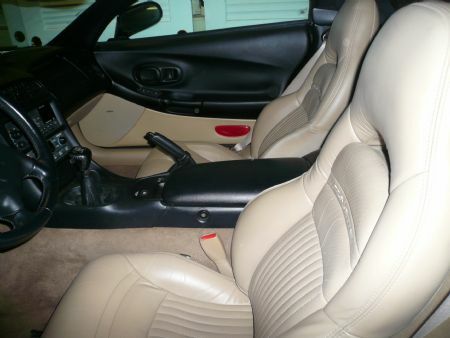 Black exterior, tan interior, tan convertible top. 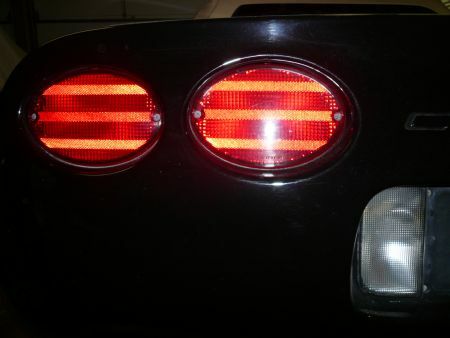 350hp LS1 engine, 6 speed manual transmission, posi rear-end. 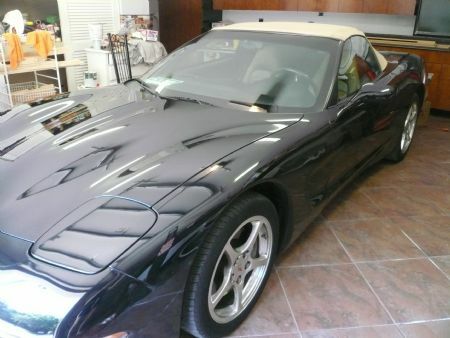 clean Carfax, this 2001 Corvette Convertible is in good condition with just 35K original miles. 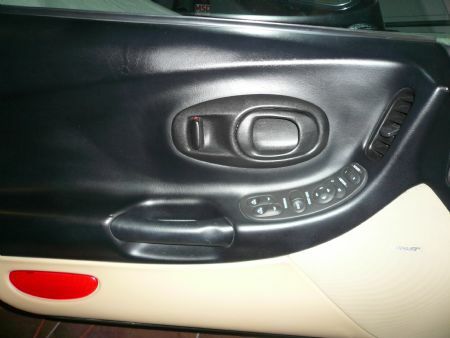 Paint is in good condition, showing a nice shine. 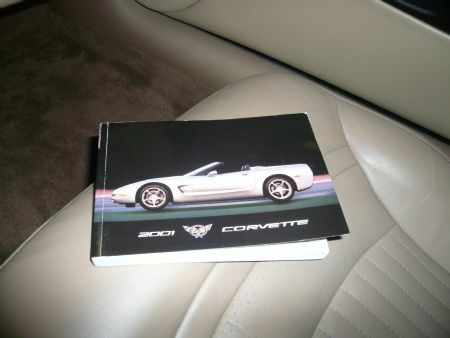 Convertible top is very good, showing no major stains or wear. The factory polished wheels are in average condition, but do not appear to have any curb rash. 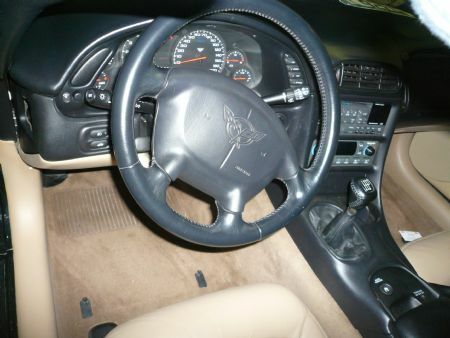 The interior of this 2001 Corvette Convertible shows very good condition factory leather seat covers and door panels, an excellent condition center console, and a good condition steering wheel. 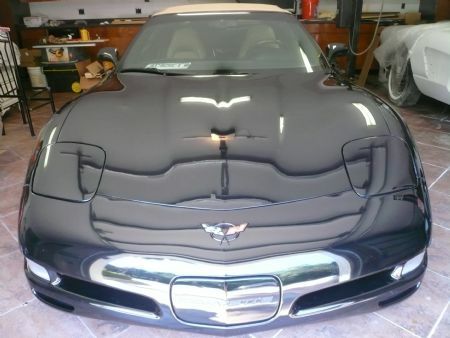 This car is completely factory stock. 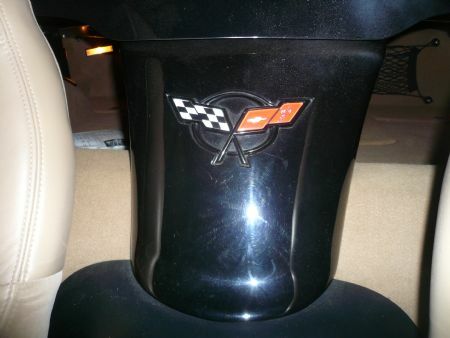 Black/Tan 6 speed convertibles are not easy to find, so call us before this one disappears! Factory features include Bose CD stereo, dual power sport seats, dual zone electronic climate control, memory package, cargo net, fog lamps, polished wheels, power windows, power antenna, power locks, power steering, power brakes, power mirrors, tilt, cruise control, ABS, traction control, Active Handling. 35K Miles.